Beautiful beaches. World-class diving spots. Scenic forests. Picturesque landscapes. Misty mountaintops. Fantastic biodiversity. 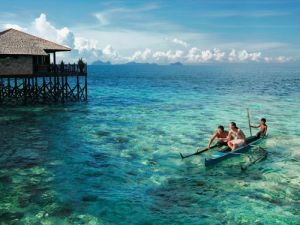 Malaysia is a land of unsurpassed natural beauty with unique treasures. Not surprisingly, tourists from around the world keep flocking to the country. Last year alone nearly 27 million visitors came, generating MR82 billion in tourism income. Plenty of those tourists, many of whom came from China, were drawn, at least in part, by the natural wonders of Malaysia. And so ecotourism plays an important part in the country’s economy, especially in biodiverse states like Sabah and Sarawak. In 2016, Sabah had a record 3.43 million visitors who brought in RM7.25 billion in tourism revenues. Yet despite these impressive figures, much of the country’s ecotourism potential remains largely untapped. The federal government says it wants to change that by creating a total of 110 eco-parks as major new tourist attractions around Malaysia. Many of these new ecotourism hotspots include recreational forests near urban areas and several of them are state forest parks managed by the Peninsular Malaysia Forestry Department. They boast scenic natural landscapes and a diversity of flora and fauna. “The conservation of forests near urban areas or communities, dubbed as urban forests, is undertaken together with local authorities through MoUs, for example the Putrajaya Corporation,” Natural Resources and Environment Minister Wan Junaidi Tuanku Jaafar said. In states like Sarawak, meanwhile, moves are underway to develop scenic local sites like waterfalls and forest areas into new tourism draws. So far so good. For all these ecotourism hotspots, old and new, to have lasting value, however, they need to be protected from the depredations of mass tourism. Sadly, often their very popularity is a threat to some of Malaysia’s unique areas and landscapes. A case in point: the Cameron Highlands. These picturesque mountains in Pahang have fallen prey to the scourge of mass tourism, having been befouled by tourists to such an extent that recently visitors had to be barred from the area for months so as to allow local flora and fauna to recover. 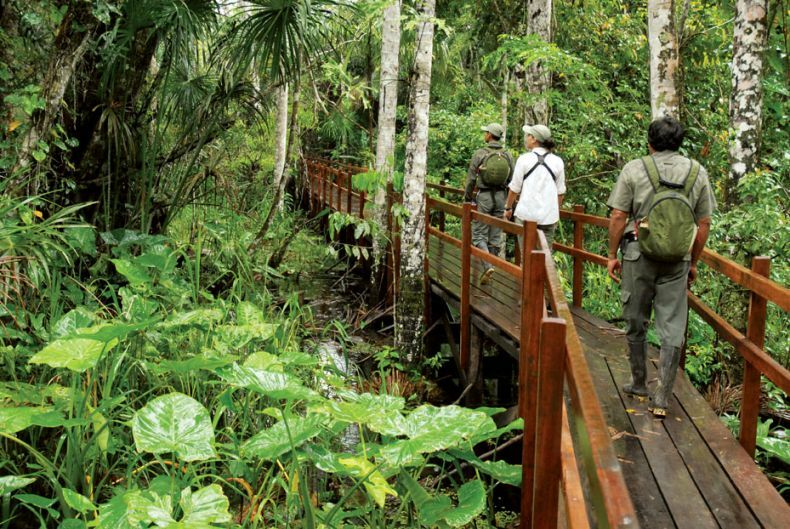 Ecotourism, if managed well, can be both a great source of revenue and a pillar of responsible conservationism. What we need to do is ensure that all the ecotourism sites around the country are indeed managed well and sustainably. The promotion of ecotourism in Malaysia is a worthy aim, but it must go hand in hand with sound environmentalist practices and principles. Ecotourism must not become just another excuse for a money grab by turning the nation’s natural heritage into nothing more than overstressed tourist attractions.